While much of Hollywood Studios is dedicated to the classic live-action films we all remember, it also celebrates the art of animation. One of the most memorable of these is Toy Story, which most recently has graced the park with the Toy Story Mania! ride. 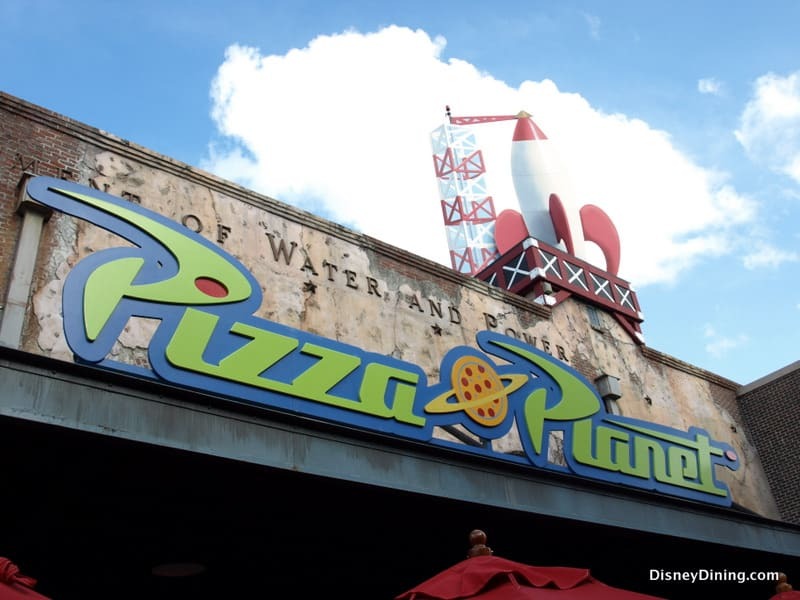 But back behind the Streets of America, near the Muppets fountain, you’ll find another, even more iconic, piece of Toy Story history: Pizza Planet! 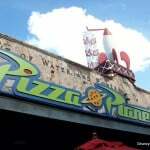 There aren’t many arcades throughout Disney (maybe one per park with a few scattered among the resorts), but Pizza Planet combines the magic of Disney’s Toy Story with one of Disney’s best arcades and a quick service counter that is nothing to scoff at. Having popped in for some gaming before, this reviewer was already familiar with the layout, but the pizza was a mystery and the initial outlook was hazy. This time, we entered near the quick service counter and were welcomed by a huge mural of outer space, with asteroids raining down in neon colors. 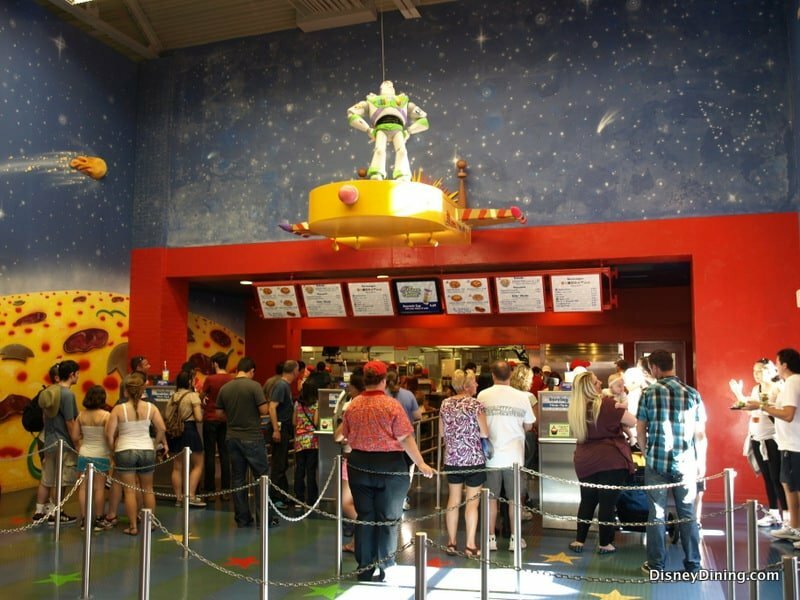 Above the service counter was Buzz Lightyear himself, standing proud on what seemed to be the tip of his spaceship. 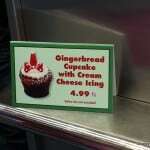 We hopped into line and soon a cast member shuffled us down one of the cashier’s aisles. Opting to keep it simple, we paid $8.99 for the cheese pizza, forgoing any meaty mountains or veggies. 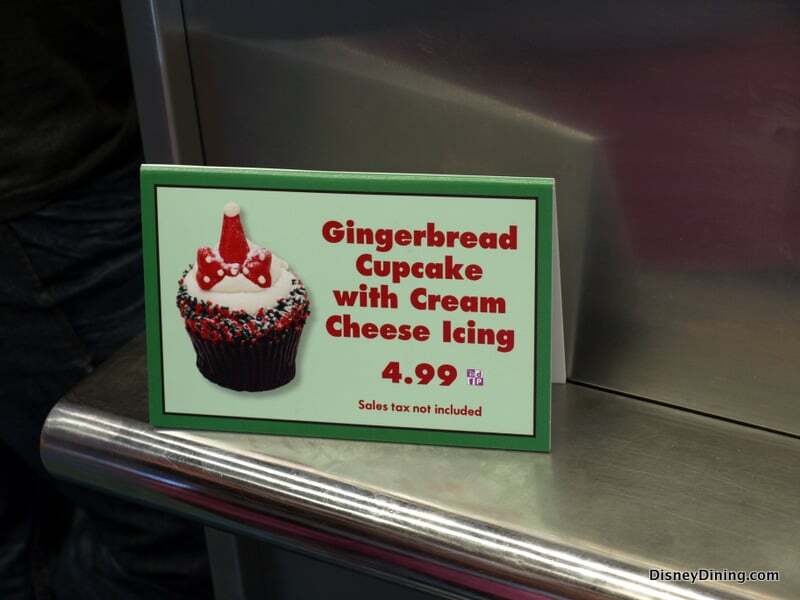 As we waited in line, thoughts of rubbery cheese and burnt crusts wreaked our nerves, but then the smell hit us. 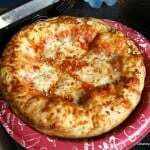 It was that smell you get the moment you step into a pizzeria, and it was seeping out of the back kitchen. We could tell from the moment we saw it that this was not the second rate pizza we were expecting. 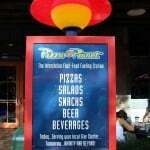 Heading into the torrent of beeps, boops, chimes, and ringing, we took our place among the arcade gamers and took no time digging into the petite, yet fantastically appetizing pizza before us. It was covered in golden cheese, with sprinkles of herbs and parmesan cheese, and tucked below was a savory sauce that made every pizza franchise look bad. 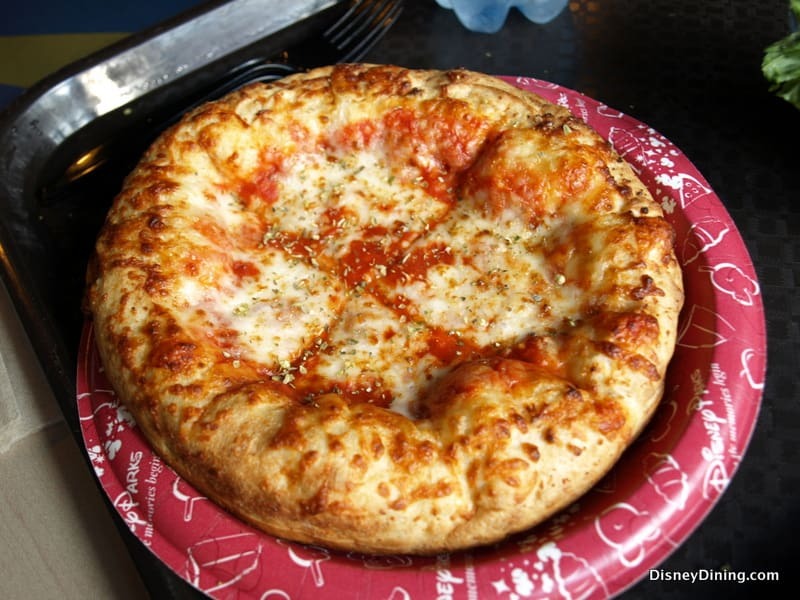 It is not an exaggeration to say we were truly astounded by how real this pizza was. It may have been small, but it was no less delicious. 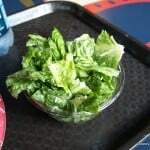 And the salad was fresh, crunchy, and all around wonderful going down. No sticky leaves or stale croutons here. The arcade itself was alive around us and kids ran to and fro, slamming their coins into machines and shrieking with joy as they won. 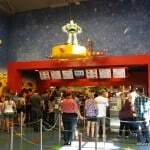 The mix of Toy Story themed furnishings and décor with real, recognizable arcade games was impressive, to say the least, and it really did feel like you were at the Pizza Planet from the movie. 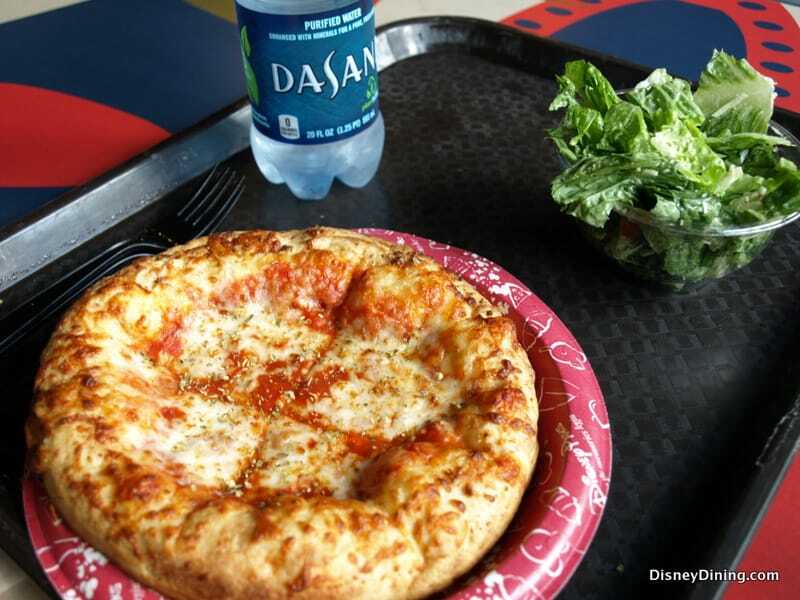 Overall, Pizza Planet left us pleasantly surprised. 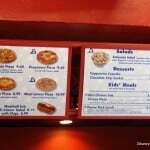 You wouldn’t expect quick service to pizza to ACTUALLY taste like pizza, let alone good pizza. But this place delivers. It is the ultimate gateway into the original Toy Story. 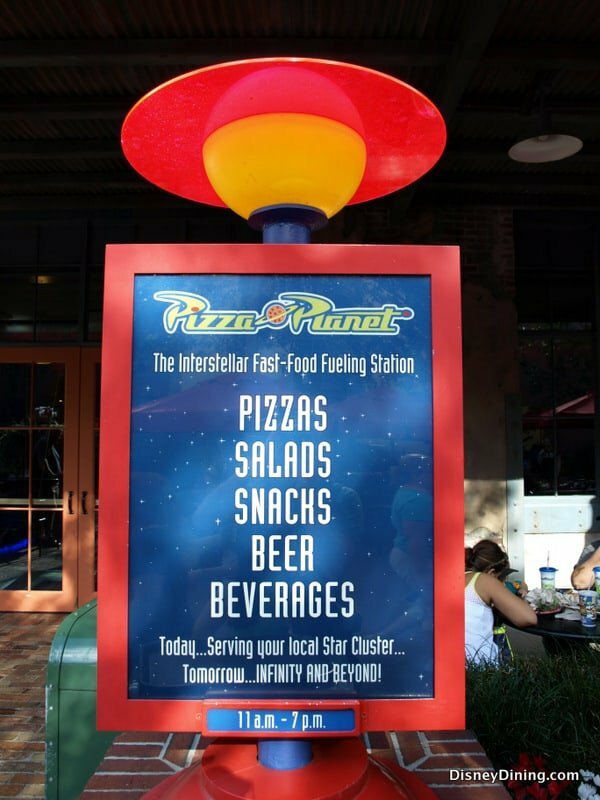 Next time you are wandering around near The Muppets 3D show, keep an eye out for the red and white rocket, and let the Pizza Planet pizza take you to infinity and beyond! 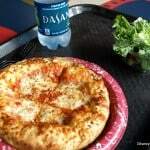 Food: Apparently the pizza isn’t much different from other quick service pizza you’ll find around Disney World, but that being said, it was cheesy, saucy, and utterly delicious. 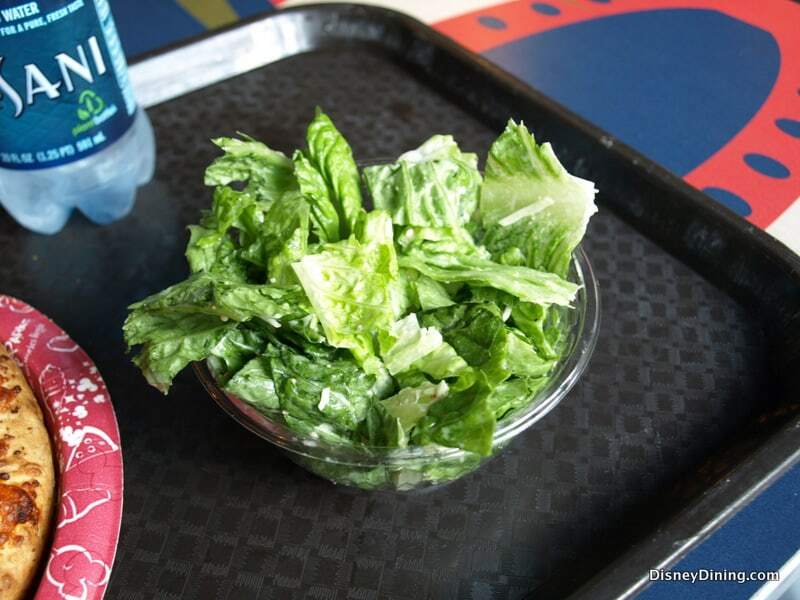 Even the side salads were fresh and crunchy. 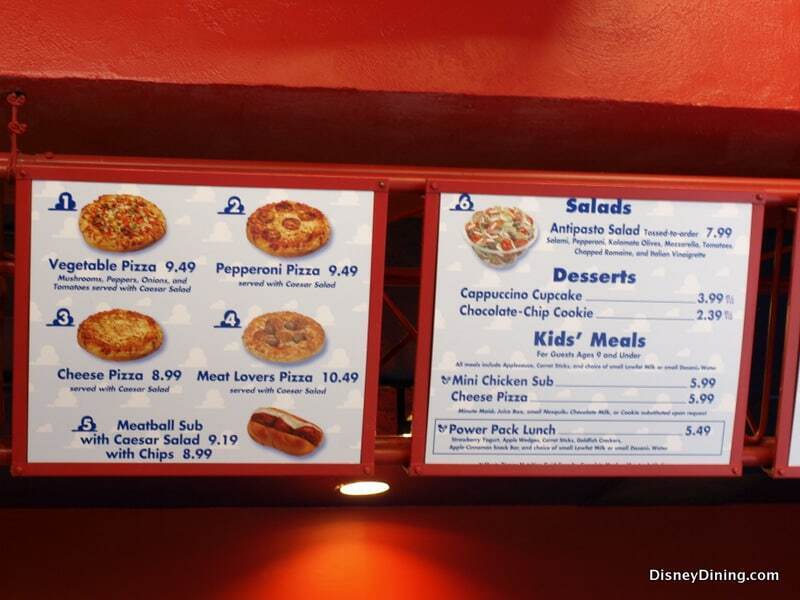 They also offer Pizza Planet souvenir cups and seasonal desserts! 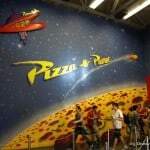 Atmosphere: It’s the REAL Pizza Planet! What more do you need to know?! You’ve got video games, Toy Story décor, and the wonderful aroma of pizza dancing all around. It’s everything you’d expect from the iconic arcade. Service: Organized and quick in every way. 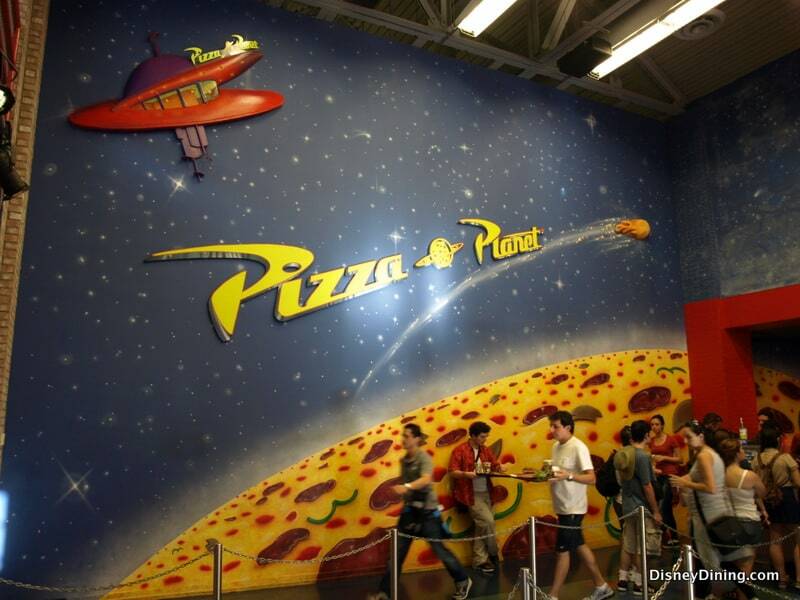 Even though it’s tucked away, Pizza Planet can get busy. The cast members did a good job shuffling everyone around and getting people through to their food as quickly as possible.